Hi!! I’m back! On Monday, I shared my very happy National Day hanging out at K11. While that was great, it was missing some food. Well, I fixed that today. Let’s get going! I was getting some duck for lunch! 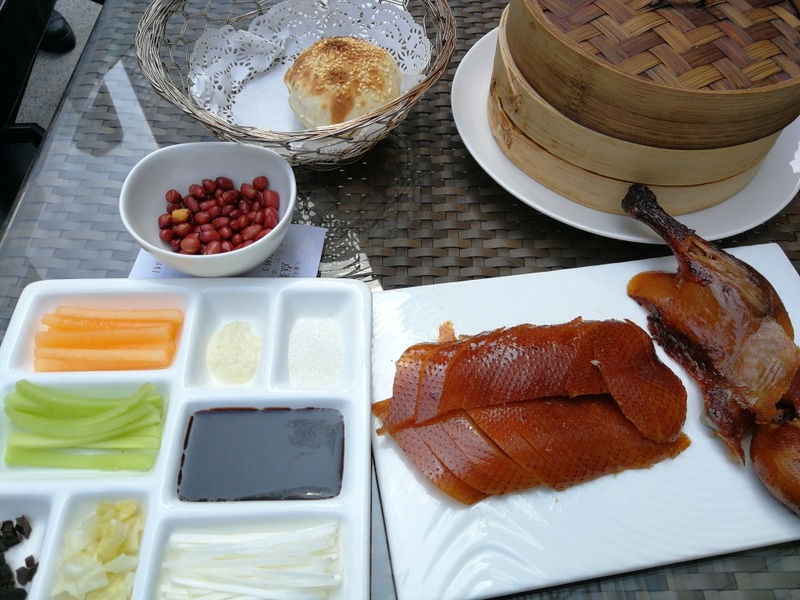 Peking duck is usually a massive meal that requires at least 3 people, but Da Dong had a solution. Suckling duck! It’s normally meant for 2 people, but since I wasn’t going to order anything else, it’s the perfect portion. How was it? AMAZING!!!!! First, my duck was so fresh out of the oven it was literally sizzling! The skin was incredibly crispy and the meat was tender, as expected. More impressively, the chef carefully trimmed the fat so no bite ever got overwhelming. 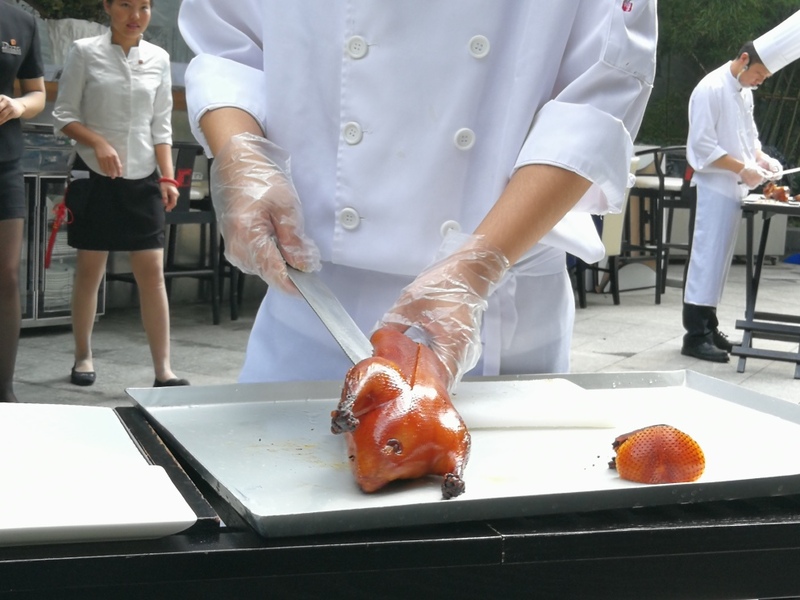 Also, unlike most peking duck places, I could actually taste the smoke in the skin! Alongside the usual hoisin sauce, onion, cucumber and pancakes, Da Dong’s set comes with two types of pickles, melon, horseradish sauce and a sesame puff. Those additions made all the difference. The briny pickles and slight spice of the horseradish perfectly complimented the fattiness of the crispy skin, bringing a delightful brininess and depth of flavor. ….. but, pickles and horseradish are only the begining. Caviar anyone??? 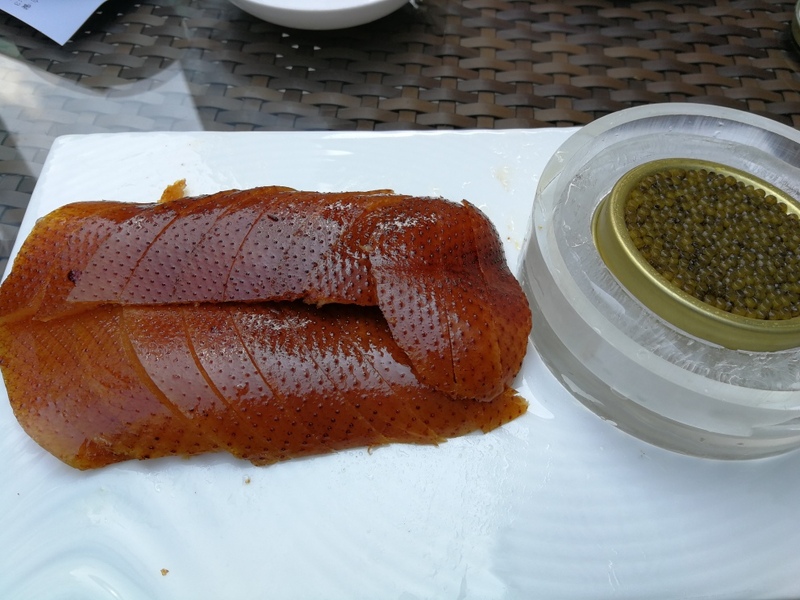 Yep, for 90 extra RMB, I got 10g of beluga caviar. It was more than worth it! 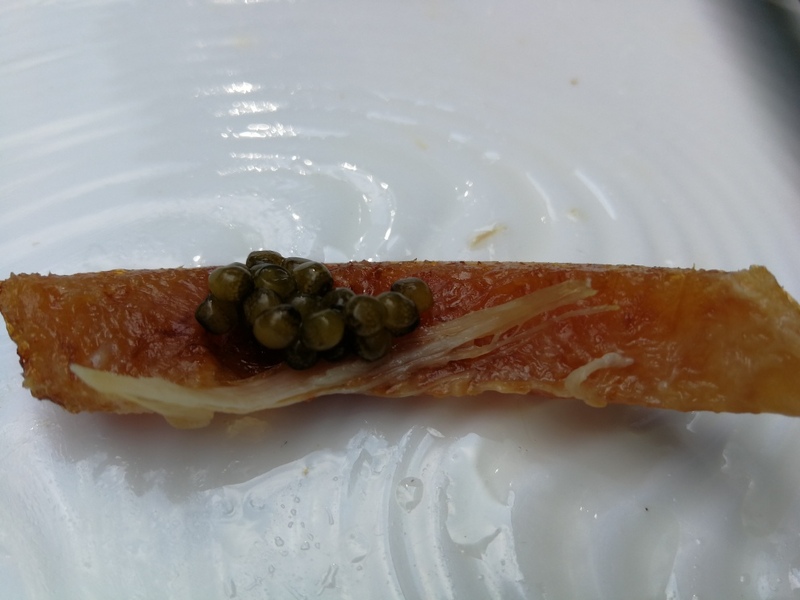 The caviar brought a creamy brininess to the perfectly crispy skin. Every bite brought a delightful pop, following a juicy crunch. 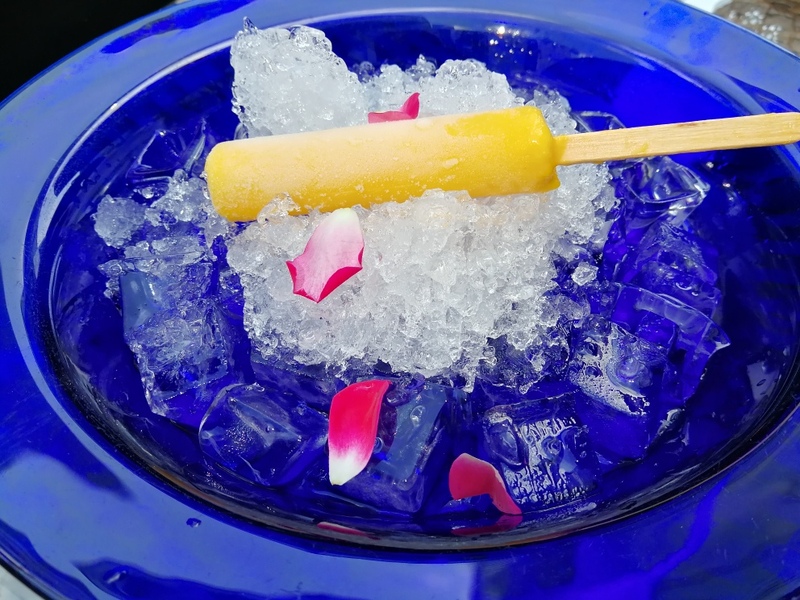 After the delicious duck, they sent me complimentary fruit and an ice pop! Next time, I’ll bring my mom so we can try some of the other delicious offerings. Note: The food here is quite pricy, but, it’s less than half what the NYC branch costs and none of the waiting! Totally worth it! 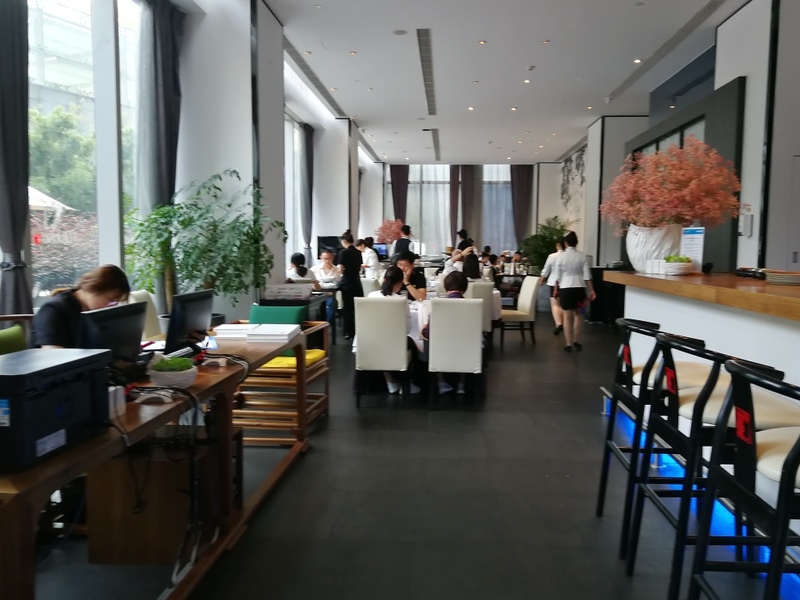 The restaurant is in a corner of the basement floor of a large shopping center, so I wasn’t expecting much of a high end vibe. However, high end is high end, no matter the location. The restaurant is open, but there’s a refreshing, simple elegance in the decour that transcends the loud mall. Even better, the only available seats were outside, so I escaped the “mallness” all together! 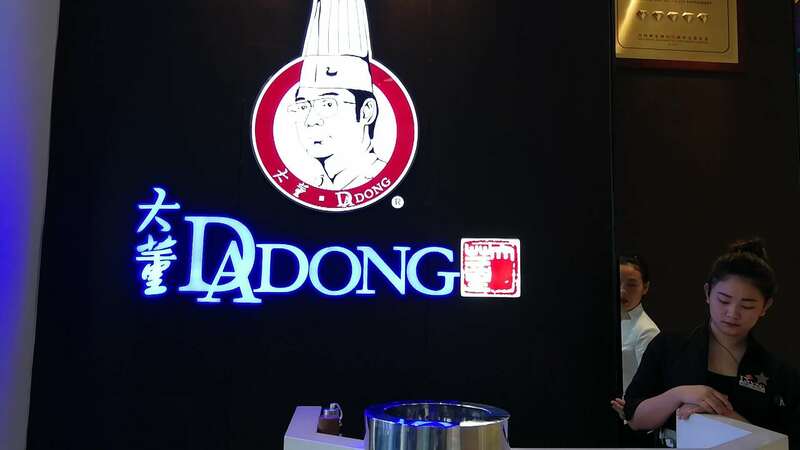 Da Dong is definitely more catered towards small groups (even the large duck is “for 4 people”) and is perfect lunch or dinner. The service was even better than the atmosphere The wait staff were obliging and my duck came in less than 15 min!. 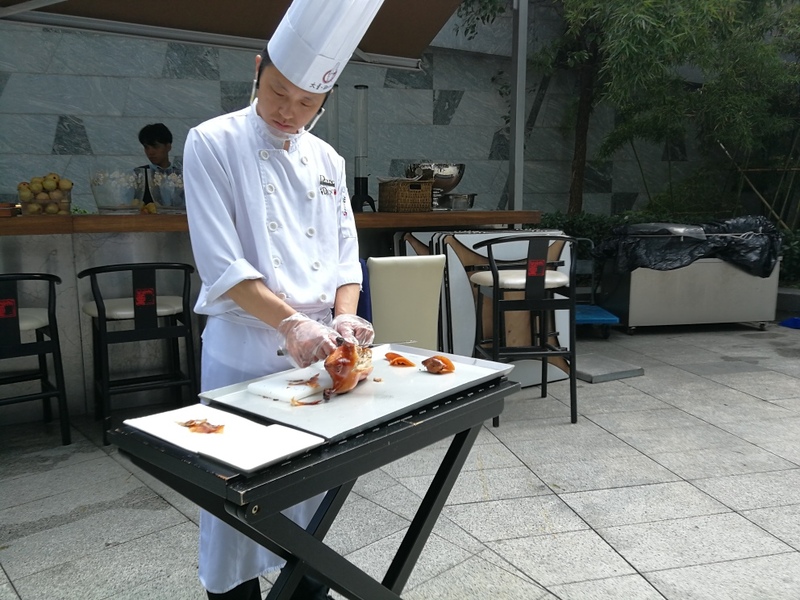 I also got the pleasure of watching the chef meticulously carve my duck. He was even patient enough to carve the legs, neck and head (my favorite) one by one before doing what he was paid to do (carve the skin). 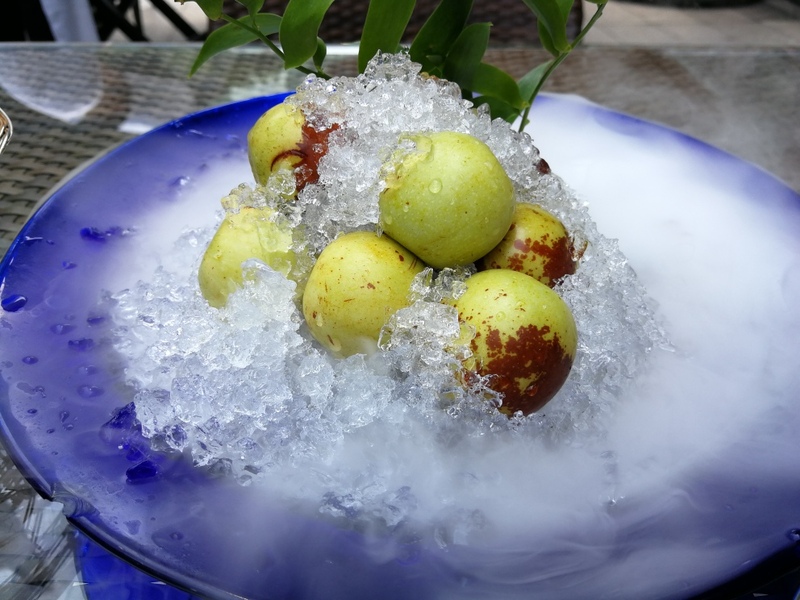 Da Dong is absolutely amazing and I definitely look forward to trying some of their other dishes and locations! That’s it for this phenomenal meal! Tomorrow, I get into the kitchen. Until then, Bye!